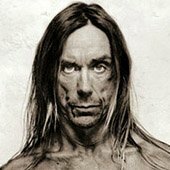 As if you need another reason to love Iggy Pop, the veteran rocker (and his band The Stooges) have the single most entertaining concert rider TSG has ever obtained. The document--all 18 pages of which you'll find here--describes Iggy's requirements in terms of amplifiers, security, lighting, stage set up, and dressing rooms. But unlike most similar documents, Iggy's rider is written in a rollicking, stream-of-consciousness fashion that delivers multiple laughs per page. Apparently written by roadie Jos Grain, the Iggy rider is peppered with witty gems, tasteless asides, and typos. For example, in describing how Iggy's dressing room should be made to "look less like a typical rock & roll dressing room," the rider suggests that promoters "just let someone loose with a little bit of artistic flair...Er, do you know any homosexuals?" Explaining the need for two heavy duty fans, Grain notes, "So that I can wear a scarf and pretend to be in a Bon Jovi video." Submitted by FormulaKimball on Tue, 2011-05-17 16:42. Submitted by Cat MacKinnon on Wed, 2010-11-10 04:32. @esta_morra: asking for equipment is very common in band riders. this is usually rented by the promoter, and is not kept by the band. many bands that you see live don't own most of that equipment, especially not the backline (amps, mic's, PA system, speakers) and lighting/visual stuff like video screens and lasers. many times bigger bands will bring their personal instruments and not much else, because it's usually cheaper to rent equipment rather than ship it, especially overseas. even bands that DO tour with their own lighting and staging equipment are actually renting and paying for a separate company to travel with them on tour for a specific amount of time. an example of this would be Rush (or most "major" bands): they tour with their own instruments, amps and drums, but they don't actually own the lighting or PA system that travels with them (very very rarely some bands do own some of this stuff, but it's extremely expensive). what they do is book an outside company for, say, six months to travel with them exclusively. the band has their own techs (paid employees) that know what the band should sound like and they know how to run the equipment they are accustomed to renting, but at the end of the tour, the sound and lighting companies and band all go their separate ways. for bands that have been around a long time, they often have very close working relationships with certain outside lighting and sound companies that they've used for years, which is why you'll often see those companies thanked in CD and DVD liner notes. keep in mind that the band doesn't just call up these companies the day before a tour: they usually get together weeks or months in advance to work out exactly what equipment the company will have available for the dates of the tour, and they'll often rent warehouses or even concert venues to do full empty dress rehearsals so the band, rental companies and all the techs can figure out what they want and how it all works together. Submitted by sarah89 on Sat, 2010-10-09 23:31. Submitted by esta_morra on Wed, 2010-10-06 23:22. As if one page of requirements isn't enough! They are basically asking for a whole new set of instruments!